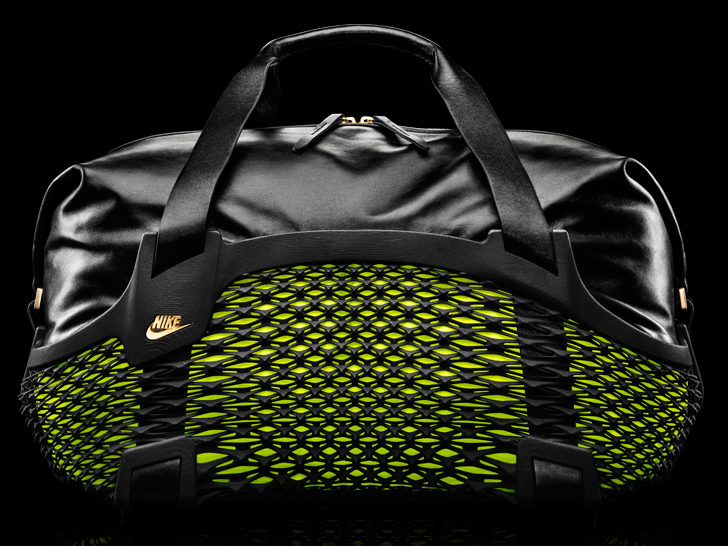 Don’t count on getting your mitts on Nike Football’s “Rebento” duffel any time soon. The sportswear goliath only made three copies of the carryall, which it’s billing the world’s first three-dimensionally printed performance sports bag. Created exclusively for soccer stars Neymar Jr., Wayne Rooney, and Cristiano Ronaldo, who’ll be flashing the bag at the FIFA World Cup in Brazil this summer, the Rebento features a flexible, “Flyknit”-esque laser-sintered nylon base, a seamlessly fitted premium leather upper, and custom gold hardware emblazoned with the respective player’s name. Three-dimensional printing allowed Nike to perform “unprecedented levels” of customization, while opening new possibilities for integrated individuality, he adds. Don't count on getting your mitts on Nike Football's "Rebento" duffel any time soon. The sportswear goliath only made three copies of the carryall, which it's billing the world's first three-dimensionally printed performance sports bag. 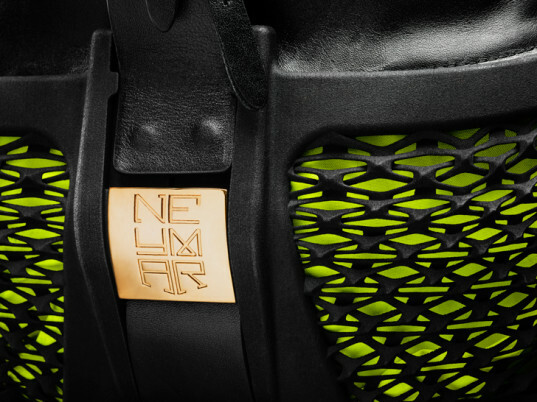 Created exclusively for soccer stars Neymar Jr., Wayne Rooney, and Cristiano Ronaldo, who'll be flashing the bag at the FIFA World Cup in Brazil this summer, the Rebento features a flexible, "Flyknit"-esque laser-sintered nylon base, a seamlessly fitted premium leather upper, and custom gold hardware emblazoned with the respective player's name.